Dilute carboxylic acids react with metals in the same way as other dilute acids (e.g. hydrochloric acid) only more slowly. Dilute carboxylic acids react with metal carbonates as they do with other acids, to give a salt, carbon dioxide and water. 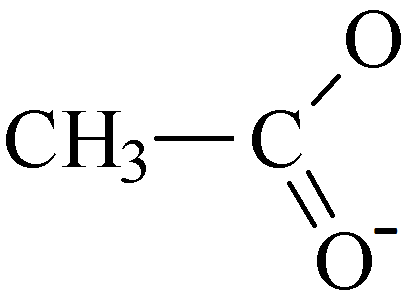 As can be seen in the examples above the charge on the ethanoate ion is -1.